Biofuel company KiOR, which has become a symbol of the difficulties of venture capitalists investing in clean technology startups, finally filed for bankruptcy this week, many months after shutting down its biofuel plant and operating on fumes, unable to pay its debts. Many, including myself, have been predicting this for awhile and thought it would come a lot sooner. But affiliates of early investor and major shareholder Vinod Khosla, as well as Bill Gates (also an investor in Khosla Ventures), have been funding the company’s day-to-day operations, keeping it going throughout the year. Affiliates of Khosla could end up with the assets of KiOR, as they’ve placed the only bid in the sale process, and if there are no better offers, KiOR plans to sell the assets to “senior lenders,” which means funds affiliated with Khosla. Senior lenders agreed to convert $16 million of senior secured debt into new equity in the deal. KiOR interim CFO Christopher Artzer said in the filings that after an asset sale or reorganization, KiOR will continue research and development efforts on its biocrude development technology. As of the time of bankruptcy, KiOR had assets of $58.27 million and debts of $261.31 million. The company owes $77 million to Alberta Investment Management Corp., which is a fund that manages billions on behalf of the province of Alberta, Canada, and is also a limited partner in Khosla Ventures. KiOR owes $159 million to affiliates of Khosla. It also owes $69.4 million to the state of Mississippi for a loan to build the plant in Columbus. In addition to Khosla, Gates and the Alberta fund, major equity shareholders in KiOR include struggling San Francisco hedge fund Artis Capital Management, Frontier Capital Management and KiOR President Fred Cannon himself. If you don’t know the back story of KiOR, I’ll go over it briefly. The Houston,Texas-based company emerged in late 2007 as a joint venture between Khosla Ventures and Netherlands-based biofuel startup BIOeCON. 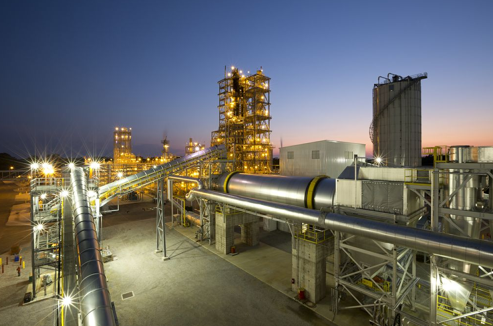 Khosla Ventures provided the early rounds of funding and BIOeCON provided the intellectual property for its “biomass catalytic cracking process,” a thermochemical process that’s been used in the oil industry for decades but that KiOR is using to produce biocrude from grass, wood and plant waste. KiOR emerged at a time when Khosla was funding a dozen or so biofuel companies. Cleantech was going through a bubble period for venture capital investing in 2007 and 2008, with a peak in 2008 of over $4.5 billion invested. While a small handful of the biofuel companies that Khosla backed during this time — including KiOR, Amyris, and Gevo — managed to IPO in the following years, delivering the firm a return, most of these companies have since struggled and lost much of their value. Other companies never made it off the ground to an exit, like Range Fuels, which ended up shutting down its plant. Amidst these dozen biofuel bets, KiOR seemed like a early shining jewel. 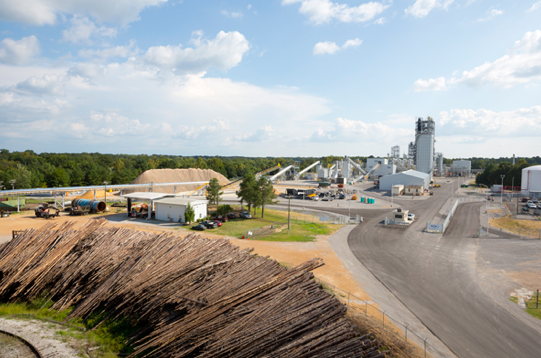 In the spring of 2010, at Khosla Venture’s Limited Partners meeting, KiOR’s President Cannon described KiOR’s technology as being able to crunch into seconds the millions of years that it takes for nature to turn biomass into fossil fuels. Cannon showed off the company’s catalyst — a fine white powder in a tiny see-through vial — that he said could turn any bio feedstock into a liquid biocrude with considerably lower carbon emissions footprint than fossil-fuel based crudes. It was supposed to be able to be dropped into the current oil infrastructure. The company wanted to do no less than to displace oil for transportation. Khosla himself was confident enough in the company at that meeting in 2010 that he said KiOR’s competitors weren’t other biofuel companies, but rather the heads of major oil exporting nations like Venezuelan president Hugo Chavez and Iranian president Mahmoud Ahmadinejad. KiOR even impressed former Secretary of State Condoleezza Rice to the extent that she joined KiOR’s board in the summer of 2011. But by the summer of 2013 it was clear that KiOR wasn’t reaching anywhere close to the volumes at the factory that it wanted. It disclosed in an earnings statement that it had produced 75 percent less biocrude than it had forecasted. Turns out, it hadn’t achieved a steady state of production and it was having some significant problems with quality, with efficiency and with bottlenecks in the plant. 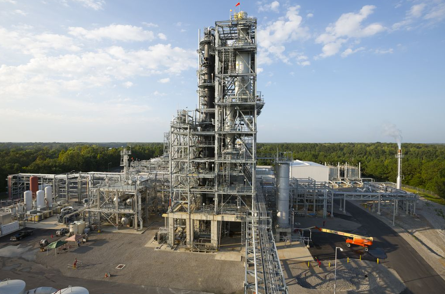 Investor lawsuits followed and the SEC began investigating the progress of the Mississippi plant. Condoleezza Rice — who never played a role in the company — resigned at the end of 2013. Other key executives started leaving, too, like the previous CFO, who left abruptly at the end of 2013. At the beginning of 2014, KiOR idled the plant it had spent so much time and money building. Without any revenues coming in, KiOR’s debts started to mount and it started to be in danger of missing loan payments. Its stock plummeted to under $1 per share later in 2014 and it was in danger of being delisted from the NASDAQ (it has since been notified of delisting). More recently, Paul O’Connor, an early inventor of the technology and a board member, resigned from working with the company and wrote a letter accusing the management team of mismanagement. As some Valley-backed energy companies like SolarCity, Tesla and Opower have started to get traction and have made their investors money, KiOR’s story remains yet another cautionary tale for entrepreneurs and investors trying to innovate in a difficult market. Biofuel startups looking to produce next-generation fuels using plant waste (instead of corn and soybeans) have proven to be incredibly difficult to scale up. Almost none have survived the so-called “valley of death” from small scale production to large scale commercialization at the low price point needed to compete with oil. One of Kior’s facilities. Image courtesy of Kior. Another lesson is for states and the federal government to know just how risky these investments are, even if they could bring jobs to impoverished regions. KiOR still owes the state of Mississippi money. Range Fuels, another Khosla-backed company, was awarded about $90 million in federal and state grants and loan guarantees before it closed down its plant. Taxpayer dollars, especially on the state level, probably shouldn’t be used for these types of high-risk biofuel production experiments. Venture capitalists have already learned the lesson of how difficult this space is to invest in. VC investments in cleantech in 2014 are far below what they were in bubble years like 2008. KiOR’s bankruptcy is unfortunate; it means job losses — 70 people worked there at the end — and it means KiOR’s promise of low carbon fuels will probably never be realized. It’s also significant money lost for all the other longtime believers in this company, and yes, probably taxpayers, too. But hopefully this cautionary tale can help lead to smarter investments in the sector in the future. Truly disruptive innovation in the energy sector is exceedingly rare. 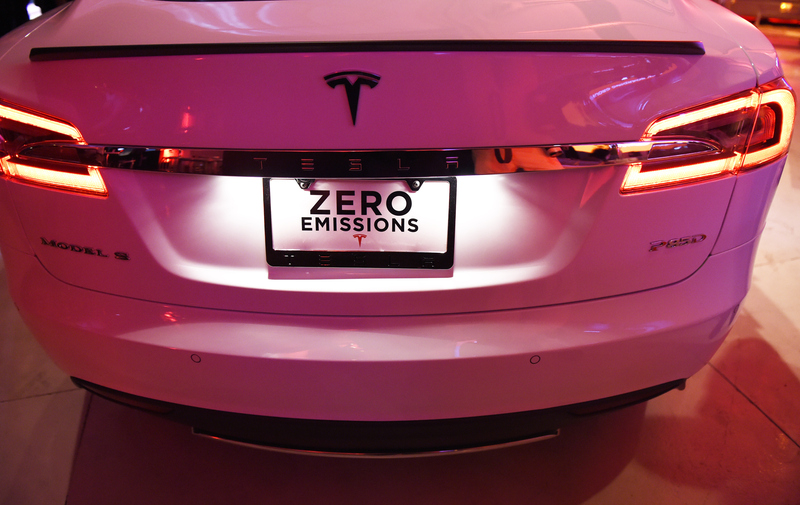 Tesla Motors (s TSLA) is one of the only companies that has management to get by and find any type of success. But perhaps the biggest loss to come from KiOR’s fall is that future entrepreneurs and investors will be less willing to take these types of big risks. As Bill Gates once said, the world needs these “crazy energy entrepreneurs” to solve big problems and fight climate change. If there’s enough tales of woe, like KiOR’s, it will discourage these future innovators, and that could be the biggest loss of all. Factory photos courtesy of KiOR. 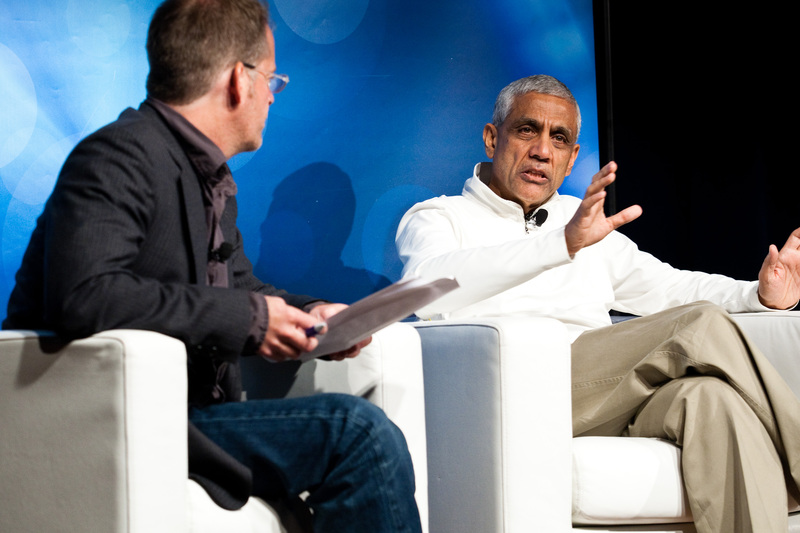 Vinod Khosla photo from Gigaom. Only one horse wins each horse race. If you invest in racehorses, expect to lose a lot. This is not the way to up scale laboratory chemical processes to successful commercial industrial chemical processes. It requires the far less glamorous work horse driven deliberate process development effort lead by chemical engineers humbled and wisened by long years of reality based experience. This is brutal hardware constrained country and no amount of digital fluff alone is going to make it work. I think there is a way to make this concept work with some significant modifications, but it will not be easy. Considerable process development would be needed to validate the modifications and properly scale them up. The key is related to realizing what the catalyst is actually doing and figuring out how to keep the catalyst from contacting the copious catalyst killing ash (see my two earlier posts here). The trees likely will be safe for a while longer. From an engineering perspective of energy in vs energy out the project never made sense. Oil is profitable for a reason, the amount of energy it takes to extract it, even with tracking, is a small percentage of the energy you get out of it. The only technology that is better, is nuclear power. If you really want to be politically correct and your worry is carbon emissions, nuclear power is the only technology that is truly sustainable. The commenting system isn’t perfect. Khosla is more of an American than you. And he put a lot of his own money into these investments. What is his “lack of judgment” anyway? fyi – Khosla is an engineer, and his many investments in cleantech have employed many engineers. He would qualify as an expert in alt energy. I don’t think the Alabama government thinks they are smarter than everyone else (and since their governor was Barbour, they weren’t), but you can’t fault them for trying to jumpstart an industry that might become huge in their state. It is Mississippi, not Alabama. The problem is VC’s and government think they are smarter than everyone else. They pick winners without any knowledge – fooled by big names with money. Look at this space and all the failures – the VC’s are connected with all of them. Employ competent engineers to help make sound investments. People who know this space could and did predict the failures, they were obvious. Too much smoke and mirrors from big talkers, company presidents without a clue as to how to run an R&D start up. Don’t skip steps, take the time to get it right and abandon bad ideas quickly. So when Solyndra failed, it was an example of the Democrats wasting taxpayer dollars. But when a company like KiOR, which was loaned $75M by one of the poorest states in the nation, at the behest of its Republican governor, there is no political outrage? I don’t have a problem with Mississippi or any other state taking a risk like they did, but they can’t have a double standard and only criticize the failures that the Democrats backed. So every time they mention Solyndra, KiOR has to be in the same sentence, and it can’t just be Obama, but also Haley Barbour (former RNC Chariman)..